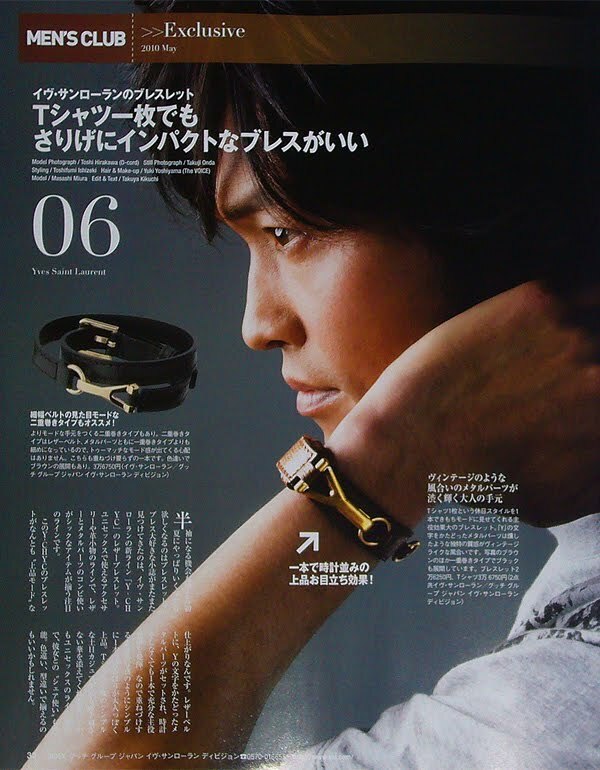 Below: (Click on pic to enlarge for better view) I want this YSL leather bracelet from SS2010! I want this YSL Bracelet! Comes in single or double twirl version. The Y symbol for the brand is clever incorporated into the design as a stylised brass hardware!